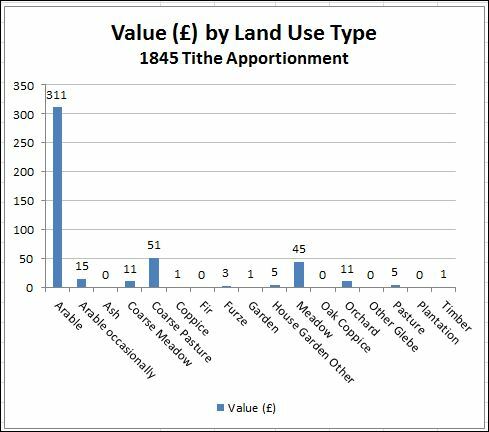 The following charts are derived from the property detail of the 1845 Tithe Apportionment. 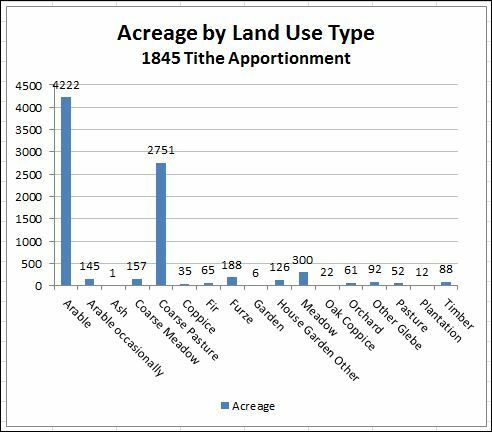 Land Use is identified as indicative because although plots may have multiple listed uses, these statistics only consider the first use listed under ‘Primary State of Cultivation’. The variety of land uses reflects the economy of sheep and cattle farming, several dairy farms and the timber sales that can be seen in historic newspapers. The tax collector clearly had most interest in the arable land, supporting crops such as wheat, oat and barley.